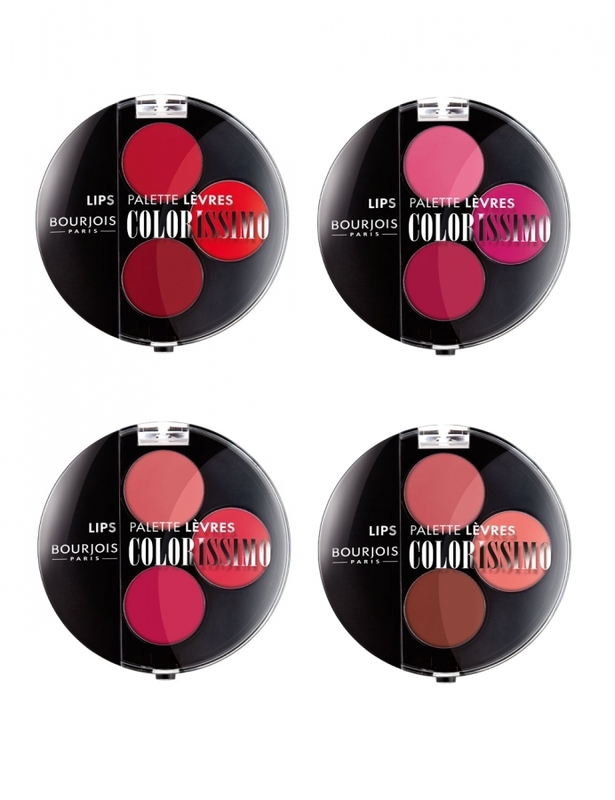 Bourjois Colorissimo Lip Palette Collection 2012. Bourjois is making sure this upcoming season your lips are going to look flawless as the label has just launched a 3 vibrant color mix lip palette collection titled Colorissimo, a collection that is bound to conquer hearts! 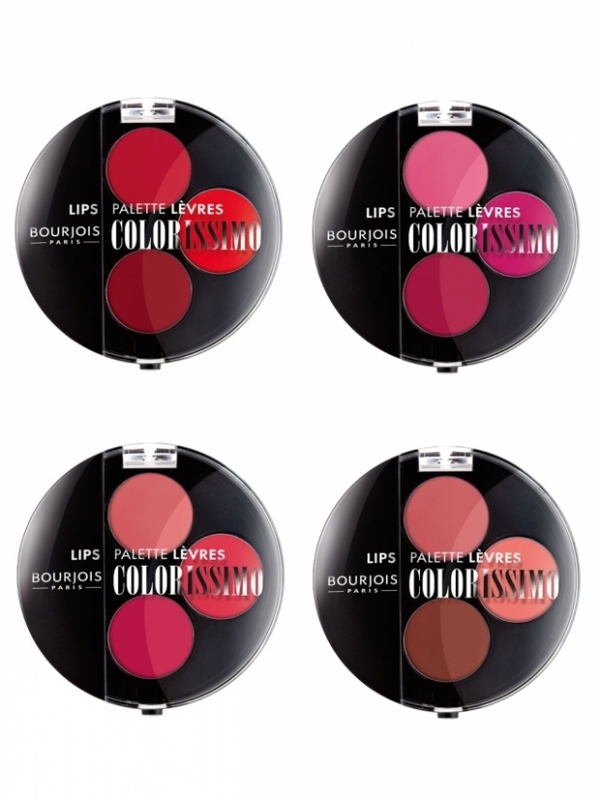 Pucker-up your lips for an unforgettable boost of style that is bound to make heads turn with the new Bourjois Colorissimo lip palettes for 2012, a collection that brings a 3 color combo to your aid. Lip color can dramatically transform one's appearance, so no wonder that the need for the perfect hue has known an all-time high. Designed to deliver flawless results while being able to be carried easily in your handbag, the new Bourjois Colorissimo lip palette will surely become a favorite. Featuring 3 different colors to suit you at various moments through the day, from morning to evening, the new light to intense lipsticks offer you endless beautifying possibilities. Because the formula and the results delivered by beauty products are also very important, Bourjois has developed a long lasting, creamy formula enriched with moisturizing ingredients to ensure a flawless and delightful application each time. Due to its creamy texture, a tiny amount of product is enough to envelop the entire lips, so give your favorite shades a try and prepare to experience the power of high glam makeup.